Why would I want to replace my factory stereo? By replacing the factory stereo (if possible) you will get an instant improvement in sound quality in any vehicle. This is generally the “Number One Reason” why you should buy an aftermarket stereo for your car as “YOU WANT A BETTER SOUND”. Another reason may be that the standard stereo doesn’t have an input for other devices, such as iPod and USB flash drives. What type of stereo will fit my car? 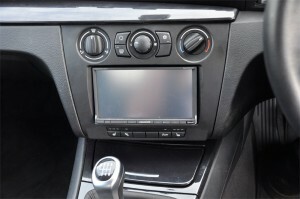 There are two main sizes of stereos available, called Single DIN and Double DIN. As the names suggest, the double din stereo is ‘double’ the size of a single din stereo. Some cars only have an opening in the dash to fit a single din stereo and other cars have a larger opening where you can fit a double din stereo. About 70% of cars will need additional parts to be able to fit a new stereo in, mainly a wiring harness and a facia adapter. Does it give me everything I want? Most of the CD players we sell will play many formats of music including Mp3 and WMA. Several units also have the facility for plugging in a USB memory stick or SD cards. If you use an iPod then you can connect this to some stereos and get full control from the stereo controls. For cars that have stereo controls on the steering wheel, most radios have the facility to connect an interface which will keep these controls. Does it look right in the car? Most stereo manufacturers use different colours for the illumination of their stereos to help tie the colours into the vehicles dashboard colour scheme and we are happy to help you choose the right radio for you if the looks of it are on the top of your wishlist. Does it have the flexibility to add on features at a later date? The main thing to look at is “future proofing” yourself. When buying a stereo decide whether you’re going to add things into the car later on. For example, you may not have an iPod at the moment but you are certain you’re going to buy one, so you may want to get a stereo that can fully control an iPod. Another issue is if you’re going to put any amplifiers into the vehicle. If so then you need a stereo with at least 1, maybe 2 sets of pre-outs so you can plug an amplifier in to it. Am I getting the best I can for my budget? The only person that can truly answer this is “You the Customer”. When purchasing a new product you normally set yourself a budget that you will not go over. 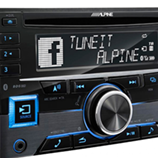 We here at Source will then help you get the best possible stereo that falls within that budget and we will then give you options for much better radios that may fall just outside the budget, but will give a much better audio performance. You then decide whether you can justify spending that little extra cash to get a far superior radio. Once you have answered these questions then it’s plain sailing, you just have to decide on the spec of the stereo. There are many different types of stereos available varying in features and functionality. Please read on for further information to help you choose what type of stereo is right for you. You don’t have to spend a fortune on a new stereo to get a better sound over the factory stereo. An entry level stereo would consist of a radio tuner, cd player and possibly an auxiliary socket to plug in an Mp3 player or iPod. There are several stereos that will allow you to plug an iPod into them, as well as having the usual features of cd player and radio. These stereos will allow you to fully control the iPod from the controls on the stereo as well as being able to charge the iPod so it doesn’t go flat on long journeys. This type of stereo is only capable of playing the radio and plugging in media devices, such as an iPod or USB flash drives. They still have the same quality as normal stereos, but the control over an iPod is generally a lot better as they have been designed with this in mind. Combining the best of several products, these type of stereos offer an all-in-one solution of hands free and sound quality. The feature list can vary, from USB to SD Card and from iPod control to auxiliary socket.